We’re a passionate bunch at Monteiths with a real flavour for freshly prepared, locally sourced Scottish food alongside great cocktails. Our team have curated a selection of great food & drink Scottish recipes for you to try at home. Hopefully these give you a taste of what we’re all about. This month we celebrate St.Patrick’s Day & raise a toast to our Irish brothers & sisters the best way how. 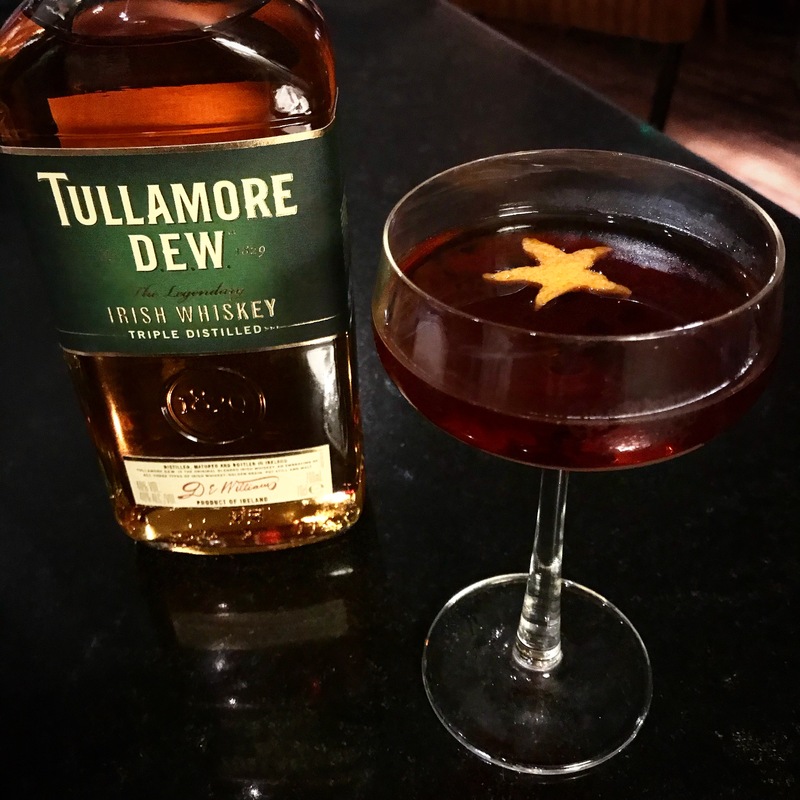 We’ve teamed up with our good friends at Tullamore Dew & created a delicious Irish whiskey cocktail especially for the occasion. It’s that good our cocktail barteam are serving it up for the month of March at the Monteiths Edinburgh bar. Believe it or not, St. Patrick’s Day was traditionally a dry holiday due to it’s religious roots & it wasn’t until 1970 the drinks flowed & the day is what we know now…thankfully! To make our Tullamore Dew Clover Smuggler cocktail creation follow the below steps…..
Muddle the pineapple in a cocktail shaker then add all the ingredients & cubed ice. Shake well then double strain into a coupe glass & garnish with an orange peel. Be sure to join us in raise a glass or two to St. Patrick this month.